In this video, Nuno Subtil, Senior Devtech Engineer at NVIDIA, details the three most important things developers need to know about ray tracing in Vulkan. Ray tracing works with all of the scene data, which enables extremely complex rendering algorithms that simulate light exactly as it behaves in the physical world. Many algorithms that are complicated with traditional rasterization-based algorithms — such as reflections — are in fact extremely simple to do with ray tracing. As Vulkan was designed from the ground-up with extensibility in mind, adding ray tracing capabilities becomes natural. NVIDIA’s VKRay makes use of existing API primitives for memory allocation, shader compilation, synchronization and work submission, as well as existing shading languages. 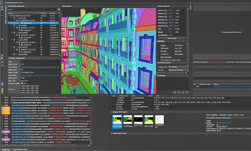 There are only a handful of new API building blocks required, so adding ray tracing functionality into an existing application is straightforward. Vulkan is cross-platform, and so is our ray tracing extension: we support ray tracing on Linux and Windows (7 and above). 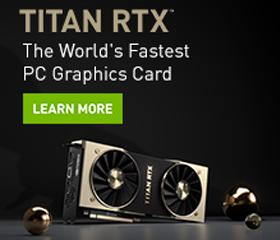 It is available with our latest shipping drivers on our Volta and Turing GPUs. You can see a live demo of ray tracing in Vulkan on the show floor of GDC.